The need to declutter is more important than ever, but if you’re going to dive in, do it right. It’s not so far-fetched to think that you’ll wake up one day soon and realize 2016 is just about over. That harsh reality has happened in previous years, and unless positive, permanent change is made, it’ll surely happen again. Do you want to avoid that sinking regret and instead feel great about the progress you’ve made in a year? Then stick with us! The negative, unwanted, unnecessary, and destructive physical, emotional, and spiritual stuff we lug around keeps us from getting to the good stuff. Are there things you yearn to accomplish or attain but have been unsuccessful thus far? Do you fight daily against such feelings? Around this time of year, ‘resolution’ is a common buzzword. And the jokes about resolutions not surviving past January 2nd are equally as abundant. While I’m not against making resolutions, a quick inspirational ‘high’, followed by dismal failure, is not my idea of a good time or an effective strategy. I liken this concept to a food diet. What happens when you go gung-ho and adopt a strict, unrealistic eating plan in an attempt to drop weight quickly? Even if you’re initially successful, this certainly isn’t a long-term or healthy solution. Chances are your motivation will fade, your health will be negatively impacted, and in all likelihood, you’ll yo-yo back, often ending up heavier than you were to begin with. Conversely, a thoughtful, realistic, healthy plan of attack to permanently change bad habits will pave the way for amazing results that will last a lifetime. The same goes for decluttering. In our book, Declutter Now! Uncovering the Hidden Joy and Freedom in Your Life, we walk through eight different areas of life, providing tips, tools, advice, and encouragement for removing the unwanted, unhealthy, destructive, and suffocating clutter. We discuss how to maintain healthy habits and make suggestions for replacing the time, space, and energy with good stuff. 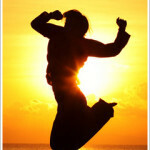 Instead of a promoting a quick fix or fast and furious approach, we offer solutions for positive, permanent life change. I’m a skeptic and prefer to sample before making any type of buy-in. In that spirit, and in an effort to whet your appetite and give you a taste of what decluttering is all about, I’m sharing highlights from four of the eight life areas we coach to, ‘Physical Stuff’, ‘Relationships’, ‘Finances’, and ‘Physical Health’, via our 30 Day Devotional . Go from ‘great idea’ to ‘GREAT LIFE’! So you’ve conceded, you’ve got too much stuff. You’re ready to part with the excess, unnecessary, unused, and broken clutter. What to do now? Break down your decluttering task into smaller, manageable chunks, and take action. Walk around your home and make a list of everything that should go. Before you begin, set a time frame that’s comfortable for you, and if you haven’t used something in that pre-determined limit, it’s gone! This is a great way to self-monitor in case you start second-guessing yourself in the process. Where should it go? We suggest making three piles – Trash, Donate, Sell. Donating to a local charity benefits both you (don’t forget your tax deductible receipt!) and the organization. Use this as an opportunity to help those less fortunate and in need. Donating can also include, however, passing down a precious memento to a family member. There are many ways to bless those around you! Feel like having a yard sale or listing a few items online in your community classifieds? The money you earn can go towards paying down a credit card, buying something you need, or doing something fun. We love recycling clutter into cash! The bible commends hard work and warns about slacking. Ask God to help you overcome any tendencies towards procrastination and put your Decluttering Project Management plan to work! What will you declutter? Unwanted stuff that can be turned into cash or blessings, cluttered spaces, and procrastination. Yesterday we spoke about removing negative people from our lives and drawing closer to healthy relationships. In addition to asking God for discernment, what can you do on a practical level to participate in the process? Use the Category Method. 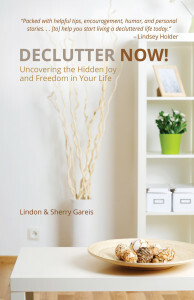 In our book, Declutter Now!, we discuss it in detail, but for now we’ll just give you a brief overview. Rate the people in your life from 1 to 8, ‘1’ being just an acquaintance you wave hello to in passing and ‘8’ for your closest friend in the world. Yes, as strange as this may sound, make a list. Then pray over changes your heart is calling you to make. For instance, maybe a ‘6’ should really be a ‘3’, and this shift would involve reducing the amount of time spent together and being more guarded with the information you share. Perhaps there is a ‘2’ you would love to get to know better. By freeing up more time and energy, you have the ability to shift the ‘2’ to a ‘4’ and see how it goes. We are not insinuating that people are numbers, but we do believe it’s helpful to create a tangible method for managing abstract and emotional issues. It provides a conduit for what you are thinking and feeling to become intentional and thoughtful choices. God calls us to speak truth in love, protect ourselves, and use our resources wisely. Give yourself permission to make beneficial, albeit sometimes difficult, decisions. What will you declutter? Aggravation, regret, guilt, wasted time, and energy. This simple financial exercise might just be the most beneficial one you will ever do, bar none, in the history of forever! For one week straight, keep a pen and paper with you at all times and write down everything you spend money on. You can also accomplish the same end result by collecting receipts from every single purchase. We aren’t talking monthly expenses such as your mortgage, electric, and medical insurance premiums, but your cash (or debit) out of pocket, weekly spending money. This would include items such as groceries, lunches, dinners out, entertainment, café mochas, gum, a last minute birthday present, new pair of shoes, etc. EVERYTHING above and beyond your monthly budget items. Before you begin, take a stab at what you believe the total weekly spending amount will be. Now add up the total of what you logged, or of all the receipts you collected. We guarantee the results will be eye-opening and life-changing, and just may curtail your spending habits forever. In addition to looking at the bottom line total, also log your weekly purchases into categories to determine exactly where your hard earned money is going. The patterns you uncover will be instrumental in your effort to streamline spending and cut out waste. God asks us to ‘test’ everything. He wants us to be attentive, question, and make prudent decisions in all we do. This includes the manner in which money is spent. This exercise will bring great awareness so you can be proactive in adjusting and revising any destructive spending habits. What will you declutter? Ignorance, poor choices, and wasteful spending. There are very few people who are completely satisfied with their body image. Accepting oneself is often an ongoing, lifelong struggle. “Why am I so short?” “Why do my ears stick out?” “Why is my hair so curly?” “Why can’t I be naturally thin?” The list of grievances is endless. Accepting God’s design for your physical, earthly body is often a monumental task because most people compare themselves not only to others, but to airbrushed replicas representative of unrealistic perfection; completely made up images. This is a battle for which you will never find victory. Instead, make a decision to rely on God. It’s prudent to healthily lose weight if you are struggling with extra pounds, and it’s fun to shop for clothes which fit well and make you feel good, but it isn’t constructive, beneficial, or healthy to focus on every little dimple, imperfection, or complaint. So yes, do your part, but God desperately wants you to enjoy a positive self-image by trusting him with the details. Consider that God’s standard for design is not formed from your desires or based on the world’s ideas. He has created you in HIS very own image and you are perfect in his eyes. Whose standard would you rather measure up to? Whose counts? Keep your eyes focused in the splendor of all that makes you unique. Praise God for what he has created in you and forego criticizing him for what he hasn’t. What will you declutter? Shame, discontentment, frustration, wasted moments of life, criticizing God, and mistrusting God. I Don’t Want To Stop! There’s SO MUCH MORE TO SHARE in each area, never mind delving into the four other areas, ‘Careers’, ‘Children’, ‘Emotional Health’, and ‘Spiritual Life’. The excitement is overwhelming! At first thought, decluttering may sound boring, tedious, overwhelming, and time-consuming. Sure, there may be a few less-than-exciting moments during your journey, but when you cross the finish line in just one area and let loose in a long awaited happy dance of victory, trust me, you’ll be hooked. And then you’ll be on to the next area with more confidence, experience under your belt, and the assurance of a triumphant outcome. Developing a pattern of success isn’t difficult. It simply takes a dedicated, coordinated, consistent effort and soon you’ll realize incredible, over-the-top, life-changing results! The 30 Day Devotional is available on the YouVersion Bible App or on Kindle. 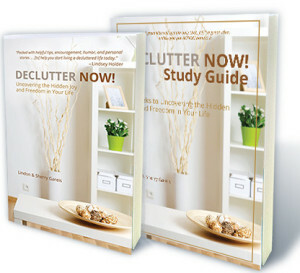 Download or purchase Declutter Now! in paperbook HERE. And if you’re ready for an amazing 8 Week journey, don’t miss out on the Declutter Now! Study Guide. Questions? Comment below or email us at declutternow@actionplanministries.com. We’d love to hear from you! And don’t forget to follow us on Social Media. Life coaching is also available via phone or Skype. Help is here and change is possible. Let’s get started and Declutter Your Way to a Wonderful 2016! This entry was posted in Inspirational, Self-help, Uncategorized and tagged 2016, clutter, declutter, Declutter Now!, devotional, health, kindle, physical, positive, resolution, study guide, stuff, success, victory, YouVersion. Bookmark the permalink.